The number 1 way to keep track of upcoming video game releases! Did you ever forget about a game release you were waiting for? Or don’t know what games to play right now? 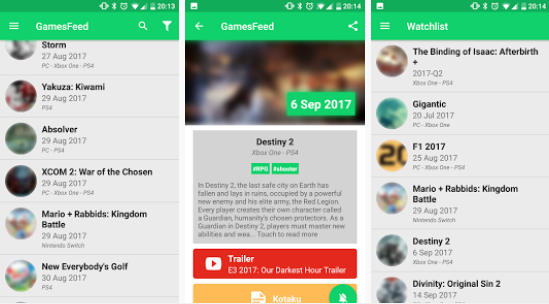 Look no further, GamesFeed is the app you’ve been waiting for! GamesFeed allows you to follow up on upcoming game releases. 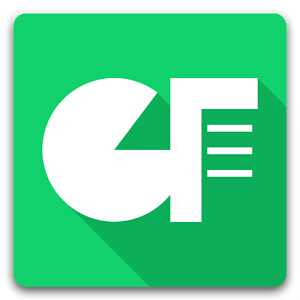 Whether it is the next Assassin’s Creed, Call of Duty or FIFA game, this app will keep you posted. Open up the app to see a chronological overview of the upcoming game releases. For each release, you can see extra details such as a trailer. GamesFeed will notify you on the release dates of the games that are added to your watchlist. * Chronological overview of the upcoming game releases. * Add games to a watchlist so that GamesFeed can notify you when they are released! * Search for a game. Currently supported platforms are PC, PS4, Xbox One, Nintendo Switch, PS3, Xbox 360, PS Vita, Wii U and 3DS. * In-app purchases are enabled to allow for donations. * For efficient loading of data, images can be cached which needs access to the memory. * Device ID is used to restore previously unlocked features.